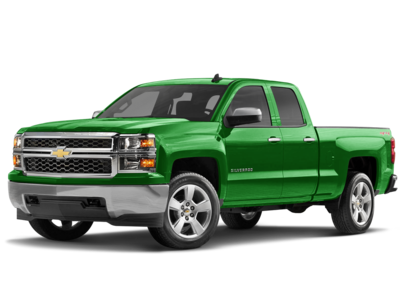 Ranked at the bottom of the pack, the 2010 Chevrolet Silverado 1500 finishes in tenth place for Best Under $20,000 Pickup Trucks. Current inventory meeting this criteria averages 99,237 miles. The 2010 Silverado 1500 achieves a combined MPG figure of 16. Scroll down to see what inventory is available in your area - hurry, before these great deals sell out! Slotting in at ninth for Best Under $20,000 Pickup Trucks is the 2009 GMC Sierra 1500. Current inventory meeting this criteria averages 102,941 miles. The 2009 Sierra 1500 achieves a combined MPG figure of 16. Scroll down to see what's available in your area right now. 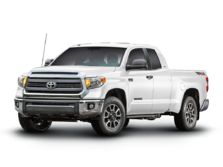 Slotting in at eigth for Best Under $20,000 Pickup Trucks is the 2010 Toyota Tundra. Current inventory meeting this criteria averages 99,702 miles. The 2010 Tundra achieves a combined MPG figure of 16. Scroll down to see what's available in your area right now. Slotting in at seventh for Best Under $20,000 Pickup Trucks is the 2010 Chevrolet Avalanche. Current inventory meeting this criteria averages 103,592 miles. The 2010 Avalanche achieves a combined MPG figure of 17. Take a look below to find the Avalanche in your area that suits you best! Coming in at number 6 in our list of Best Under $20,000 Pickup Trucks is the 2010 Honda Ridgeline. Current inventory meeting this criteria averages 98,202 miles. Fuel economy is rated at 17 MPG combined. Scroll down to see what inventory is available in your area - hurry, before these great deals sell out! The 2009 Ford Ranger is number 5 in our list for Best Under $20,000 Pickup Trucks. Current inventory meeting this criteria averages 87,250 miles. Fuel economy is rated at 17 MPG combined. Take a look below to find the Ranger in your area that suits you best! Ranking fourth for Best Under $20,000 Pickup Trucks is the 2010 Chevrolet Colorado. Current inventory meeting this criteria averages 92,751 miles. The 2010 Colorado achieves a combined MPG figure of 18. Scroll down to see what inventory is available in your area - hurry, before these great deals sell out! Slotting in at third for Best Under $20,000 Pickup Trucks is the 2009 Toyota Tacoma. Current inventory meeting this criteria averages 107,930 miles. Fuel economy is rated at 18 MPG combined. Take a look below to find the Tacoma in your area that suits you best! Ranking second for Best Under $20,000 Pickup Trucks is the 2014 RAM Ram Pickup 1500. Current inventory meeting this criteria averages 46,074 miles. The 2014 Ram Pickup 1500 achieves a combined MPG figure of 19. Scroll down to see what inventory is available in your area - hurry, before these great deals sell out! 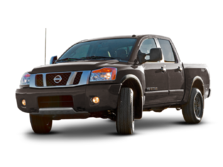 The 2014 Nissan Frontier is number 1 in our list for Best Under $20,000 Pickup Trucks. Current inventory meeting this criteria averages 43,558 miles. Fuel economy is rated at 19 MPG combined. Scroll down to see available inventory for 2014 Frontiers in your area.